Mount Morgan is a quaint, historic town with a population of around 3, 000, nestled in the foot of the Dee Ranges. The old mine still dominates the landscape overlooking the town and the Dee River giving an eerie appearance from a time long ago. 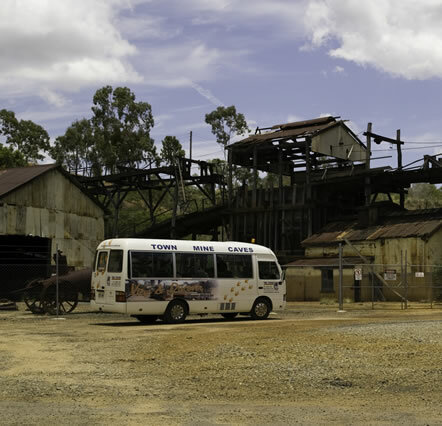 TMC Tours offer the best experience for touring Mount Morgan- viewing its present, and discovering its past. The mine site reveals yesterday's mining methodology from grand old buildings, famous land marks to 100 year old equipment. The mine area today displays the many environmental challenges underway to manage the acid mine drainage and revegetation attempts over the site and the adjacent Dee River. 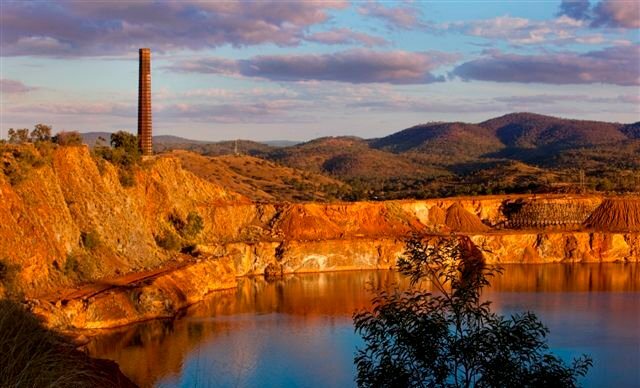 During its many years of operation, remarkable discoveries of the Mount Morgan Mine not only included gold, silver and copper, but also paleontological findings. In the early life of the mine, miners were given the task to excavate fireclay from a sandstone ridge (used to make bricks to line their many furnaces). By excavating this ridge, the miners at the time unknowingly exposed hundreds of dinosaur footprints, made 200 million years ago. Sadly, these Caverns are currently closed for public access – however casts of these prints can be viewed on tour, along with the remarkable tale into their make and later discovery. See these casts, along with many, many other fossils impressively presented with Michael Durrant's World of Fossils Display, located in our Fossil Display Room, in the heritage, 110 year old Mine Office. This display also presents the tale and discovery of Morgan, Mount Morgan’s very own Plesiosaur – the huge water reptile, whose fragments were discovered on the mine site in the 1960s. 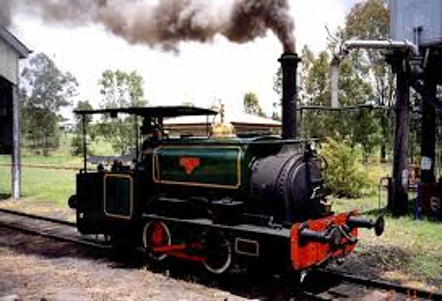 General Tours depart from the Mount Morgan Tourist Information Centre (located at 1 Railway Parade), at 10:20 am and 1:00pm daily (bookings required - Operations subject to bookings in off season. TMC also welcome group tours in private coaches. We also specialise in school excursions; our accredited guides can adapt our tour to suit your special needs. 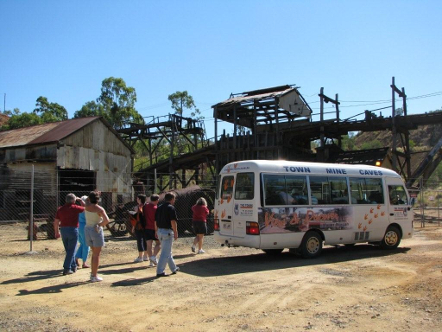 Click here for further information for school excursions. Arrangements can be made for tour variation and visitation to other tourist attractions in the area. Enclosed footwear is required on the mine site. Off season tour operations may be subject to bookings. Areas restricted in wet weather. Group pick ups from Rockhampton and special arrangements available for day trips. You may also download our latest brochure and read more information about the tour.